I regularly receive emails from Pillsbury, and after seeing a yummy one for a Crescent Taco Bake, I decided to buy the few (missing) ingredients I needed. I made some modifications, like I normally do, to make this a bit healthier/lighter and added a couple of ingredients I thought would increase the tasty factor; however, you can omit these if you choose. This is a good basic recipe which can be suited to your own preference, if you have a favorite way to make tacos. 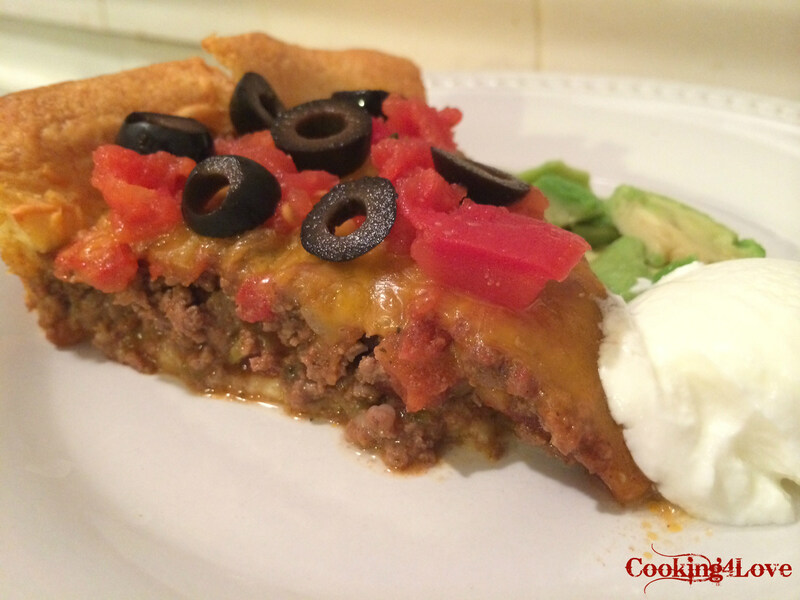 Feel free to add jalapeños, beans (refried or black), onions, etc. In 10-inch skillet, cook beef over medium heat 8 to 10 minutes, stirring occasionally, until thoroughly cooked; drain. Stir in salsa, Rotel (if using) and taco seasoning mix; simmer 5 minutes. Bake 18 minutes or until crust is deep golden brown and cheese is melted. Serve topped with diced tomato, black olives and lettuce (if desired), and avocado and plain greek yogurt on the side. 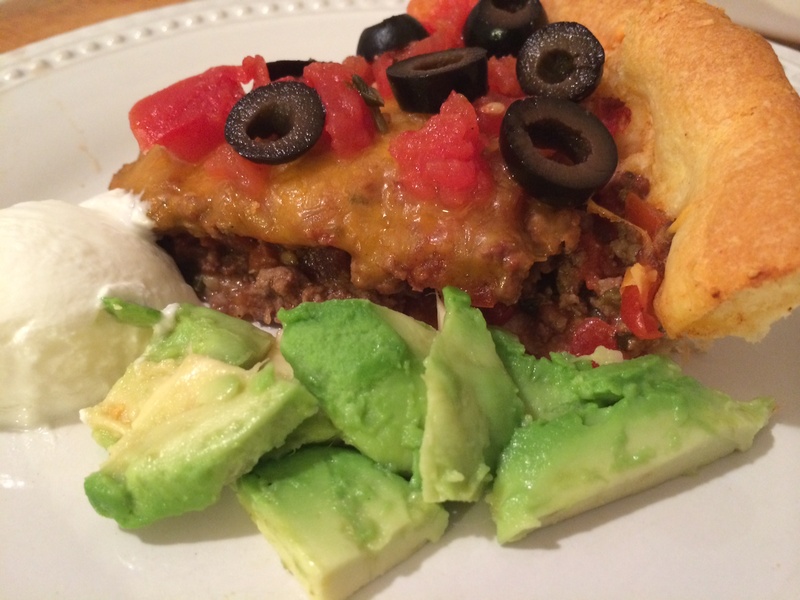 This entry was posted in Main Courses / Dinner, Meat, Recipes and tagged cheddar cheese, crescent rolls, dinner, easy, ground beef, pie, Rotel, tacos. Bookmark the permalink.